Introducing Ainol Novo 7 Tornado is an Android tablet with the latest Android 4.0 Ice Cream Sandwich. 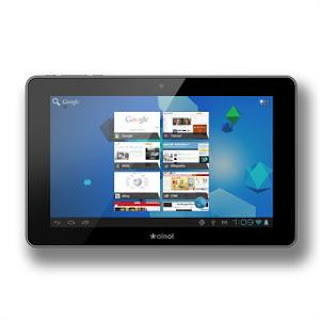 Features all Android 4.0 OS + Amlogic A9 CPU and Web camera, 7" capacitive touchscreen display with multi-touch input and a 0.3mp camera. Also includes Wi-Fi support, USB 2.0 connectivity and microSD card slot for the expansion of memory. For 3G it works only using USB dongle. You may also read this post about Ainol Novo Service Center Philippines and Ainol Novo7 Aurora II Review and Specs. i bought ainol 7" tablet ..may i ask how much is the replacement of screen? pls. need ur advice.? Thanks!! !